Lewis Hamilton says it would be a “dream” to test a MotoGP bike, but first he needs to get a bit more two-wheeler mileage under his belt. The reigning F1 World Champion headed to Qatar this past weekend to watch the season-opening MotoGP event. 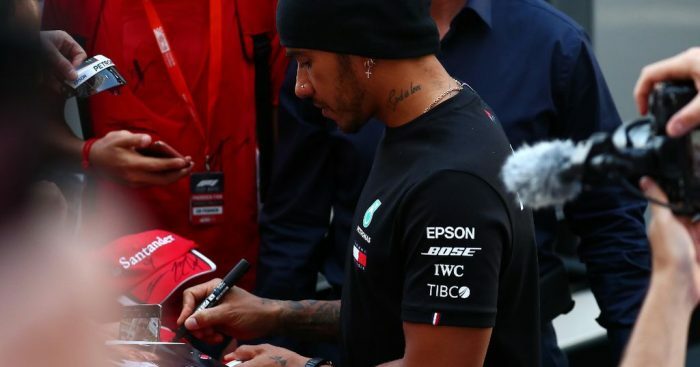 Spending time with the Petronas-backed SRT Yamaha team, Hamilton said he would “nag” Petronas – who also sponsor his Mercedes F1 team – until they relent and give him a MotoGP test. He told the official MotoGP website: “100 percent I’m going to ride one, I’m building up to it. “I need more days [on a bike] firstly because I’ve only had two-and-a-half kind of days on the track, but eventually I’d love to try a MotoGP bike. That’s the dream. Hamilton has already tested a Superbike, putting the Yamaha YZF-R1 bike through its pace at Jerez last year. During that outing the Brit, who suffered a small crash, was told to “go a bit slower” by WSBK rider Michael van der Mark. “I had to stop him, he’s not afraid at all and he tried to take corners as fast as with his car.